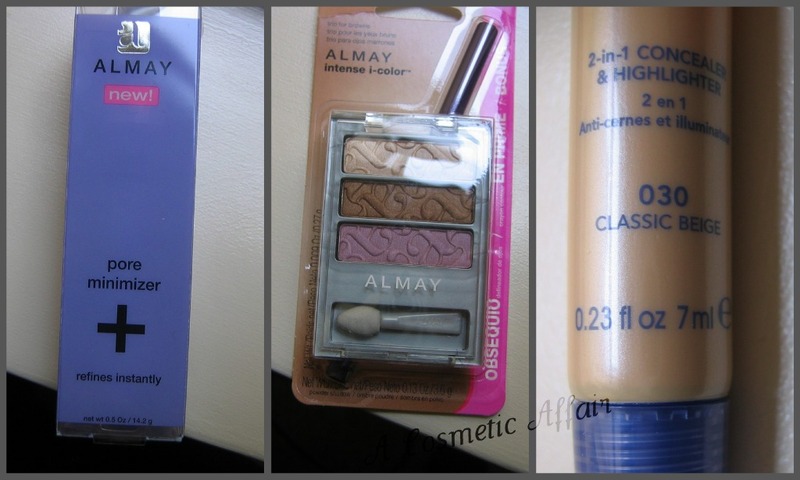 Next I got the Almay Trio for Brown Eyes in 021 which contains a lilac shade, a brown with hints of violet and a light creamy shade for the highlight. The packet also contains an eyeliner twist up pencil in a vibrant purple shade in 001 Purple Amethyst. I got this for £5.25 which I thought was a good deal. Lastly, I got another Rimmel Match Perfection 2-in-1 Concealer and Highlighter in 030 Classic Beige. As you may know, in my previous haul from this site I had already gotten one of these, but the shade is not as light as I wished it to be. However, this works wonders under the eyes as it conceals and highlights the under eye area to give a much brighter and awake finish. You get 7ml/0.23oz of product for £3.99. If you would like a more in-depth review for any of these products, please let me know. I was really pleased with my purchases and they got to me in less than three days which is quite amazing for me. For another haul from this online you site, you can look HERE. If you want to get a DISCOUNT code from The Cosmetic House online website, read HERE. 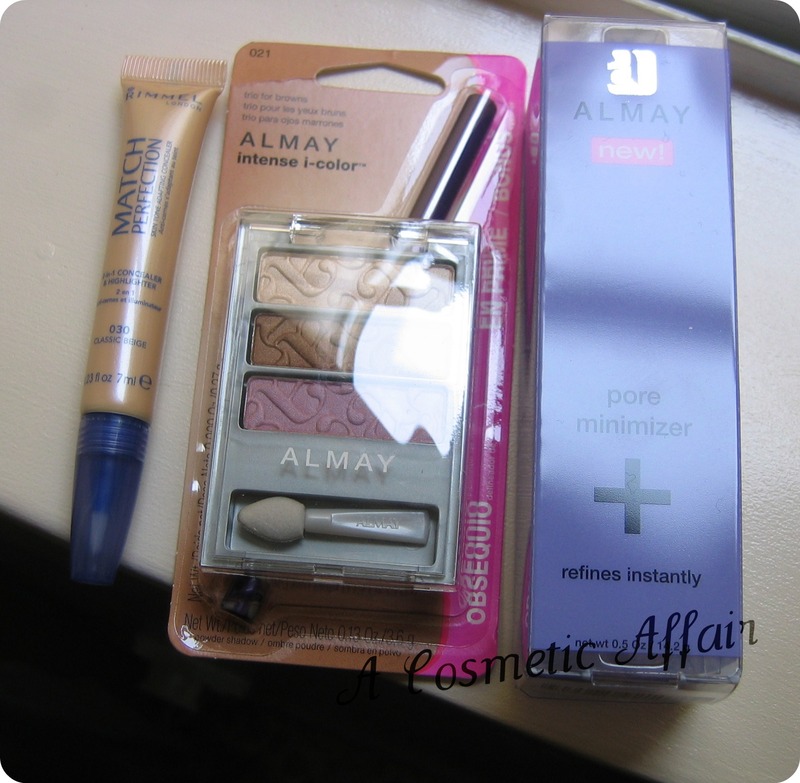 Have you tried any Almay products? What do you think about this haul?